I've been searching for a duster cardigan so needless to say, I was pretty excited when I found this one (on sale!) at Forever 21. The weather has been perfectly chilly and I've been living in jeans, boots and sweaters. I paired my cardigan with distressed skinny jeans and biker boots for a casual/cool look, but I know it will look just as good worn over a knee length black dress and thigh high boots. 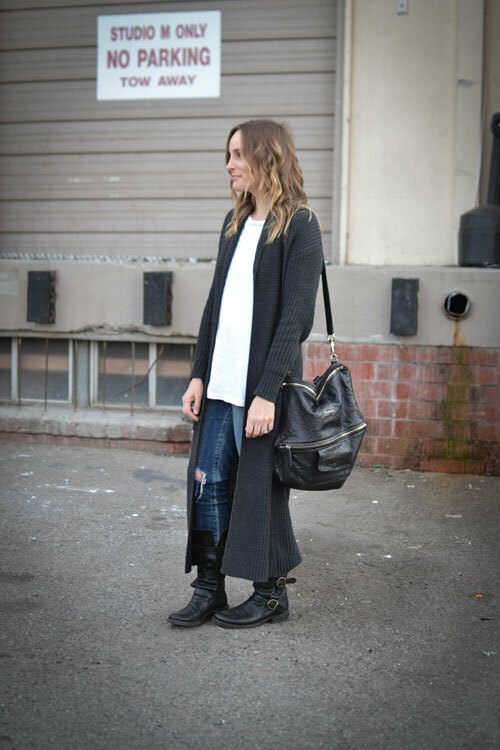 When it comes to my wardrobe, it's all about versatility! You're looking so cool in this casual outfit! I like your oversized cardigan so much!